PlayStation is set to get Valve's Steam download service – perhaps one of the biggest announcements at E3 2010. And not only that, but Sony's PS3 will have "the best version of Portal 2 on any console" according to Valve boss, Gabe Newell. 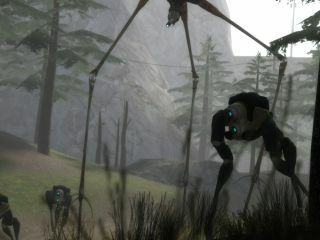 Newell is one of the most accomplished games developers of his generation. And Half Life 2 is still, for many, the defining game of our generation. So his approbation and approval of PlayStation 3 is a massive deal for Sony and for gamers. "When the PlayStation 3 was introduced, I was the one of the platform's biggest critics," Gabe Newell. "However, Sony Computer Entertainment has proved that the PlayStation 3 is the most open platform of all the current generation consoles and has worked extremely hard to make the platform the most desirable for consumers and developers. "As such, we are delighted to announce Portal 2 for the PlayStation 3 and believe the Steamworks support included will make it the best console version of the game."